Here's a fresh challenge for you to take: try using a half-frame camera! See, with half-frame cameras, your usual 35mm film frames get sized down by a half to create default portrait images with the size of 24x18mm. This means that for every roll of 24 exposures, you'll get 48 half-frames, and 36 with 72 half-frames. Don't have any half-frame cameras? The Diana Mini and Lomo LC-Wide have those options ready for your usage. Here are some half-frame ideas you can use for your next photography project. Day and night, darkness and light—with the half-frame format, projecting contradictions and differences become more emphasized. Use color gels to make different auras of each half-frame or find opposite themes. Create a two-photo collage with haff-frames. This is a pretty tricky type of photograph to make, but it's a great way to test your geometry and symmetry skills. Create a reflection of your primary subject by shooting it once more—only this time, you'll want to switch the orientation of your camera to the other side. Here's an easy but classic composition! Remember those photobooth portraits Andy Warhol made? You can make your miniature version with a half-frame camera. 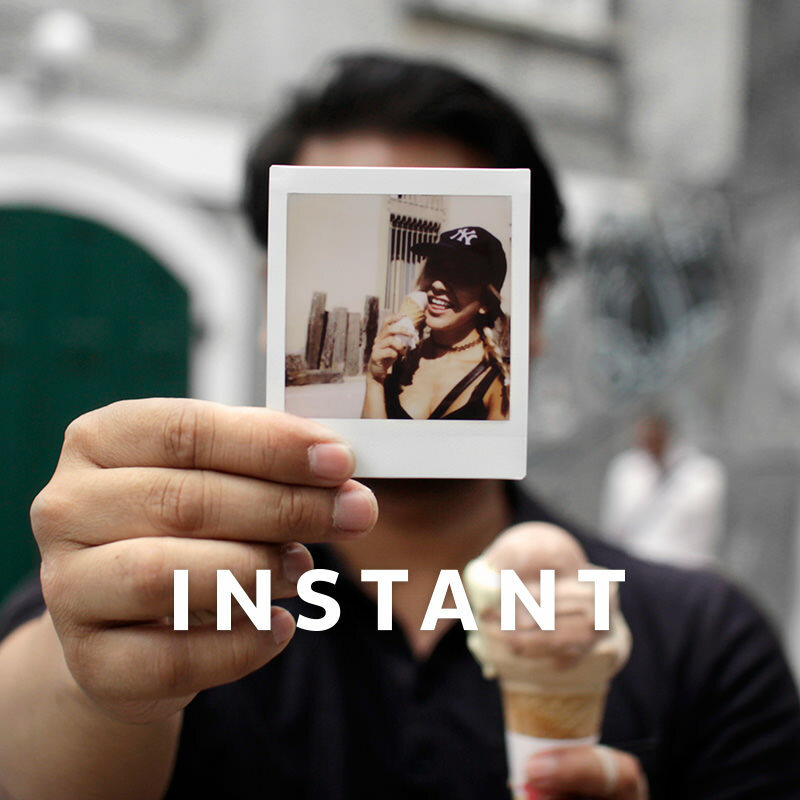 This is how you can tell a simple yet clever story through photography: document what happens then and now. Compose a before-and-after shot that will make a sequence of events. goga93, peterpan61, angelaonche, teeh, eleonorepairet, guanatos, jaunman, elisechocho, mlester, akula, koduckgirl, dupdupdee, mtsteve, denizberkin, ale2000, mlchaelbexley, crazy_little_red_riding_hood, systemdevice, crosschannel, wildholzkamera, beblo, oleman, schwarzesauge & sirio174. it's also an interesting way to create a "group" photo or a couple's photo.